Health is not a static state or a sporadic burst here and there but an on-going journey of discovering about ourselves. The goal is to achieve a high level of personal vitality and energy and to keep improving our health while at the same time learning how to deal with the inevitable consequences of aging. However, if you don’t change anything about your diet and lifestyle as you age, you get worse. Just think about it, for the most part, people in their forties and fifties feel worse than people in their twenties or thirties. That doesn’t say much for when we reach our sixties, seventies and beyond. It has been proven over and over again, without exercise the essential elements of our functional fitness will decline with age. Your diet and lifestyle, what you have done and what you have not done are going to come back and haunt you at some point as you age. Much of this loss of physical function we used to accept as being natural and an inevitable result of the “aging process”. We now understand it to be the negative result of a sedentary or inactive lifestyle. You don’t have to be a rocket scientist to understand that the older you get the more you need to exercise. Keeping our bodies strong means we are much more likely to have our health span equal our life span. We must reduce the risk of spending the last 10-20 years of our life in a disability zone where the burden of our care falls on others. It’s a tough burden to inflict on others…our families, friends and community. When we allow our health to deteriorate we end up with significant limits on mobility, independence, self-reliance, quality of life and ultimately dignity. The end result most times is that we end up in some form of nursing home because we have lost the ability to care for ourselves. We used to accept loss of physical function as being natural and an inevitable result of the ‘aging process”. It does not have to be this way, you do not have to accept statements like “Oh well, I am just getting older I must expect this”. When we take responsibility for our own health and well-being we can avoid that disability zone and keep ourselves functional and well so we can take care of ourselves right up to the final event. You can have all the wealth you can amass in life but if you don’t have your health you are a pauper. Wellness and health will always be more important than wealth and the secret to attaining ‘wealth in health’ is diet and lifestyle. We have begun to understand that health is way more than simple the absence of disease-it is much more. 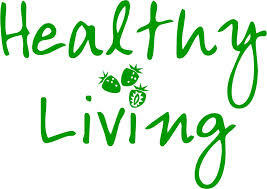 It is about having a positive and proactive attitude towards one’s own health. It is about prevention-not waiting till disease symptoms strike and then being ‘reactive’. Wellness is about living now…about voluntarily seeking out ways to live a higher quality life which focuses on staying well ‘now’…and not waiting for disease to manifest before you make important lifestyle changes. For those who place a premium on exceptional health… “Just Say No to Cancer”…may be the most important message you will ever read. You can also take this 1 minute test to find out how YOU fare on the Cancer Risk Scale.